Want to escape the city and go off grid for the weekend or longer? York Durham Headwaters (YDH) has many amazing provincial parks and conservation areas to explore. But there’s a catch – our campsites book up quickly! Avoid disappointment and book your summer camping getaway today. Check out our region’s seven provincial parks just a short drive north of Toronto. Visit their websites for booking information and scoop up that sweet site! If you’re looking to relax in an RV, check out the Cedar Park Resort in Bowmanville. 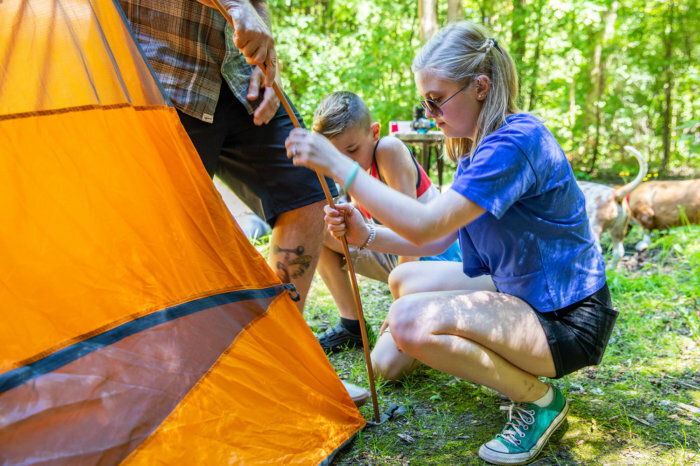 If you’re new to the camping game – or if you want a helpful refresher – the award-winning Learn to Camp program provides guided overnight camping experiences at provincial parks across Ontario. In YDH, the program is offered at the Darlington and Sibbald Point Provincial Parks. At YDH, we want to make sure you have everything you need to enjoy your stay. That’s why we created a free downloadable camping packing list to help you remember to pack important items…like sunscreen and marshmallows for s’mores! Want up-to-date news on events in our area? Sign up for our newsletter for the best of things to see and do this summer in YDH!